Thank you everyone for participating! 41 of you got all the answers correct! I will do a rundown of all the correct answers, before I get to the winners. Worn Blankets (not the Leap Year Party ones), Scarecrow, Scary Bat Wings, and the color of Creature Masks that did not come back (which was black/dark gray with red lips and icy blue eyes), and the Eyeball Hat with pink eyelashes. 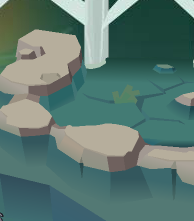 Where did the Cami's Frog item get its name? So that's the (really short version of the story. The three newest lands are Coral Canyons, Mt. Shiveer, and Appondale. 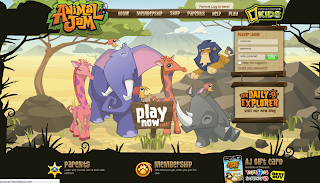 What were the first pets in AJ? What is the only pet in AJ that is allowed to have no eyes? Here are all the 41 winners! If you got a message that says "Put ____ in your comment for round too", that is your code for when round 2 starts! Everyone on this list will get a Jam-a-Gram from me, with a one-word code on it. When round two starts, only these 41 Jammers can participate. If you are on the list, you will need to put the code I sent you in your comment for Round 2. 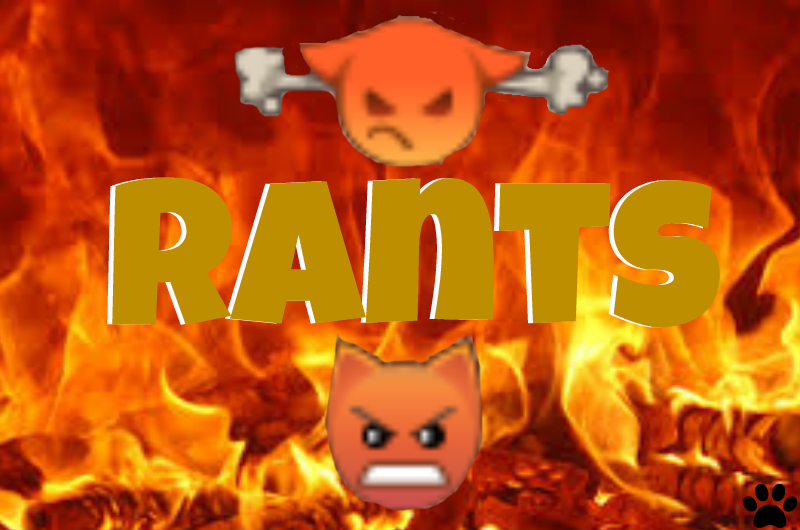 Round 2 will be in a later post. 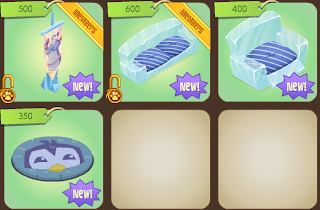 As for new items, there is also a new Igloo Pet House at the Penguins Only Party! EDIT: Please try to be patient; my internet connection isn't working correctly, so the results will be late! 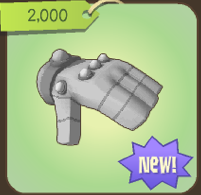 There is a new Silver Glove (and it is a non member item) available at the clothing part of Epic Wonders! The contest results will be up shortly, so be sure to check back! 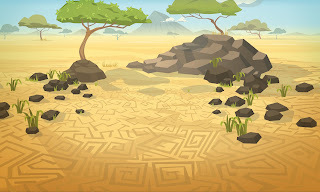 I have found AJ's wallpapers they use on their homepage. Here they are! 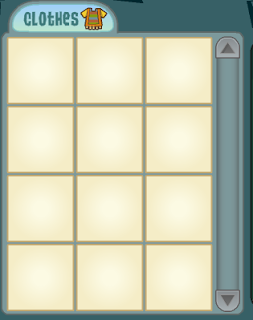 You can click them and they will be bigger, so you can use them as your background or whatever! 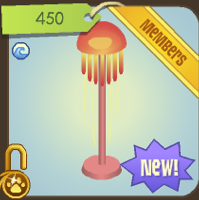 and the Jellyfish Lamp in Sunken Treasures! • If you get all the answers correct, you will be a winner, and move on to the next round! Here are the grand prizes! 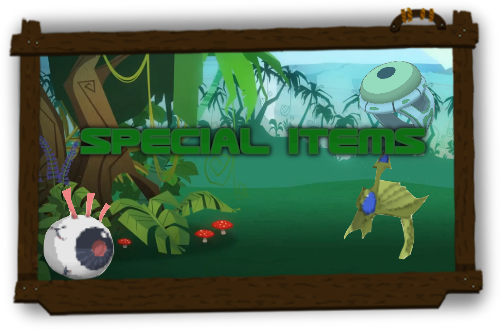 Cami's Frog, a rare den item with an amazing story, a light blue fox hat, and a very rare flooring, Moon Dirt! 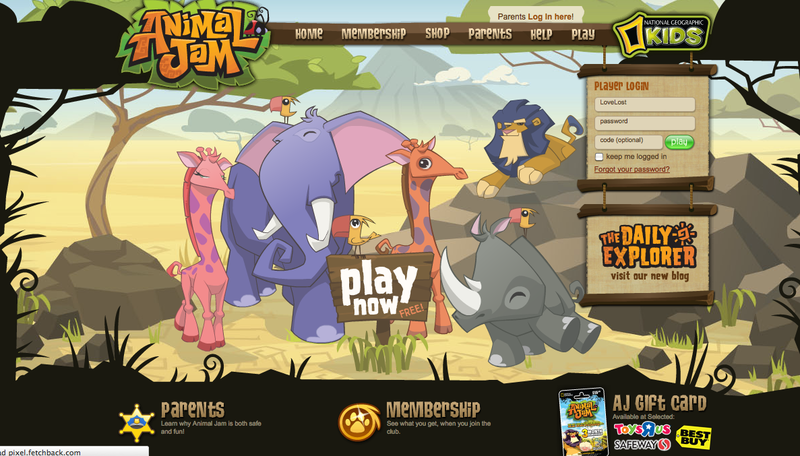 AJ has added a new homepage! 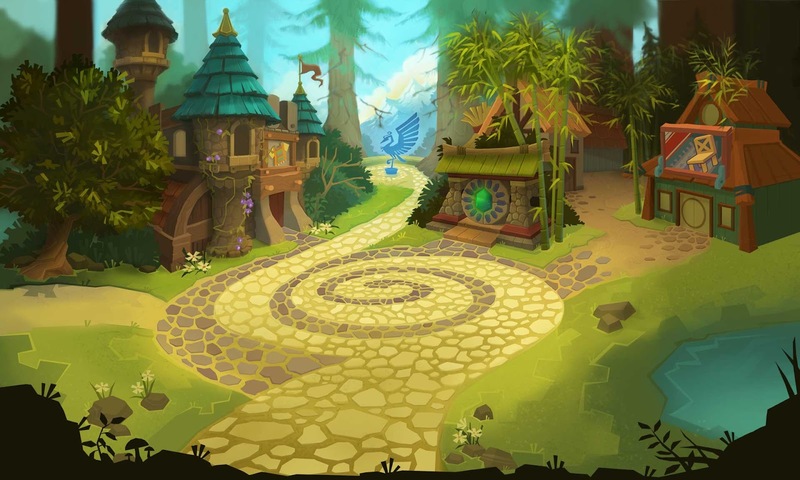 The animals on the screen appear to be in an area that looks like Appondale... but is it really Appondale? It probably is, but it could be a new land! 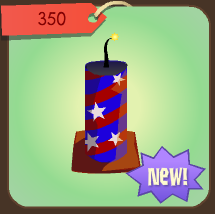 Well, today's item is an item from last year, the Fireworks Fountain! These are available at Jam Mart Furniture! 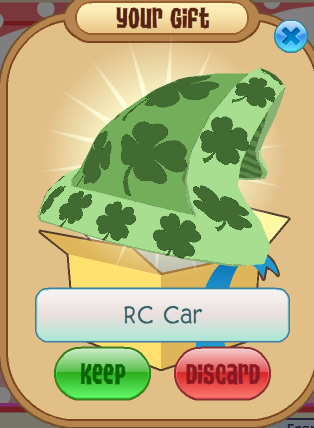 More and more rares are coming back. I wonder, what next? I am making a party plan too! 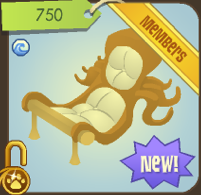 Today's new item is in Sunken Treasures, and is called the Octopus Chair! 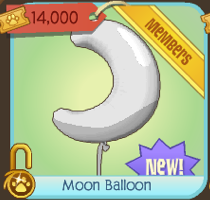 And there is a new Moon Balloon at the Summer Carnival! And cool moon balloon! We just need a star balloon and a lightning balloon now. 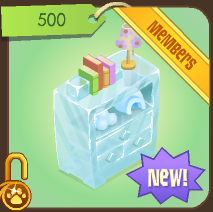 There is a new Ice Dresser, and it's available at the Penguin Party! 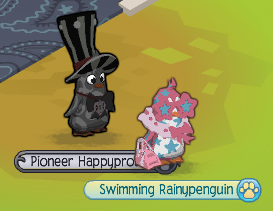 While you go to the Penguin Party, you can try out XxUnstoppablexX's glitch that I posted a few posts down! 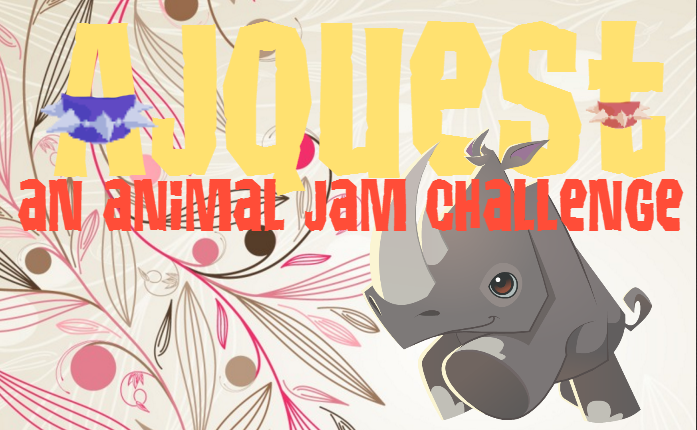 Jamanimal135's Epic Blog for Animal Jam! You can CLICK HERE to get to the blog! I will be hosting another contest and party soon, so be prepared! 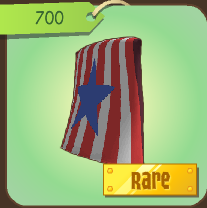 Freedom Capes are available in Jam Mart Clothing for Rare Mondays! 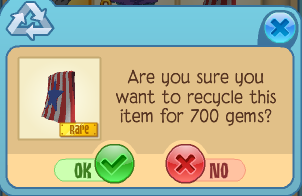 Only items from Rare Item Mondays can be sold for the prize they were purchased at! 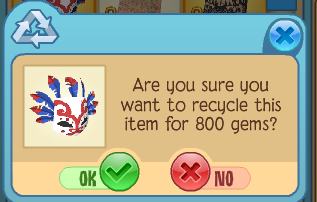 Last week, Freedom Masks were available for 800 gems. 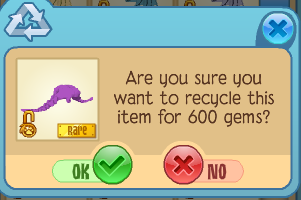 And they can be sold for 800 gems too! 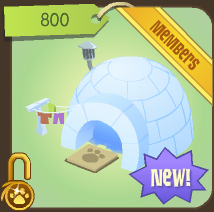 So that explains why the Rare Pigtails can be sold for 600 gems! 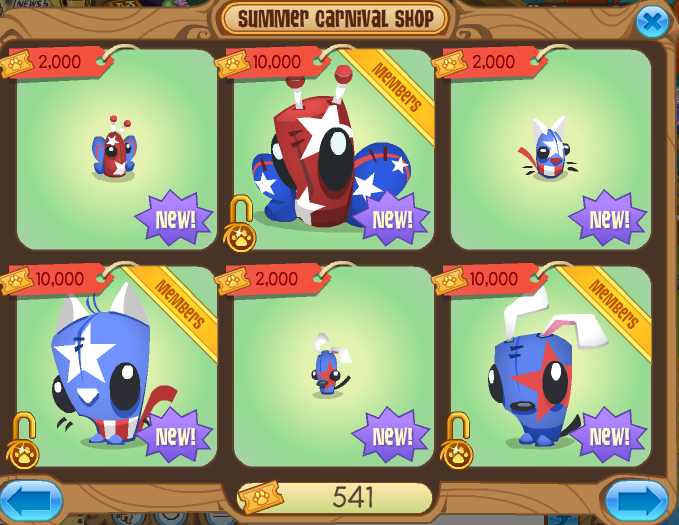 At least we know now that Freedom Bands will be sold in stores soon for 750 gems. 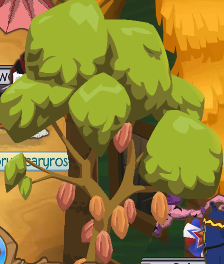 XxUnstoppablexX discovered a new glitch, which she calls the Barbecue Glitch! 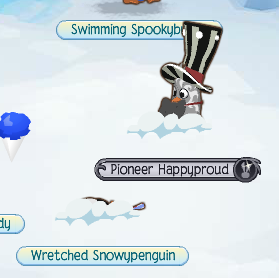 You will need a penguin to do this glitch, and you will need to go to a Penguin Party. You should land in the water! Go to the area with the snow that you sink in, and sit down. 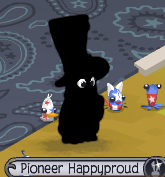 But there is nothing you stand in that is supposed to make your animal black! Maybe if we ever go into space, our animals will look like this? I'd love to hear your predictions on this! 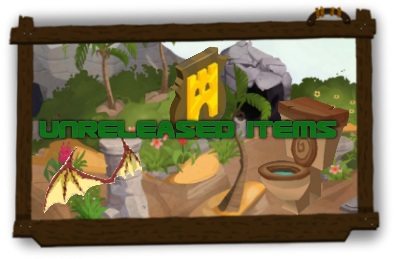 Three items have changed their sell price, and are probably coming back for Rare Mondays soon! Here are the items with price changes. 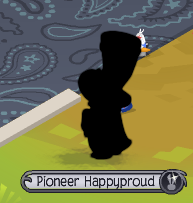 Freedom Bands, Freedom Cape, and Rare Pigtails! 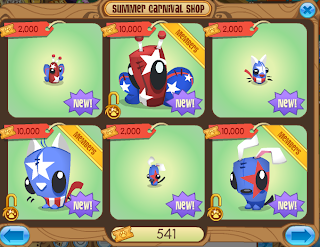 Freedom Bands were sold in beta for 265 gems, and will be sold again soon for 2,500. Freedom Capes were sold for 200 last year, and will be sold again for around 2,250. Rare Pigtails were recently sold for 600 gems for Rare Mondays, and might be sold again for about 2,000 gems. 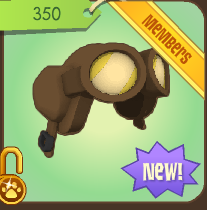 The pigtails might not come back since they were already a Monday Item, but they did have a price change. 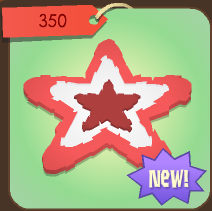 There is also a new Star Rug in Jam Mart Furniture! I guess I missed another one of yesterday's items. That item was the Sand Dollar Necklace. 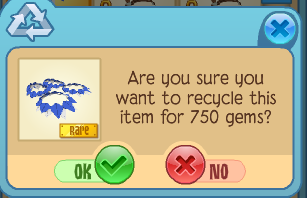 Now there is another new necklace, the Mermaid Necklace! Both items are available at Bahari Bargains, the ocean clothing shop. There might be a new den item at the Penguin Party, so I will check as soon as I get to a party! Beret and Mt. Shiveer Cave? 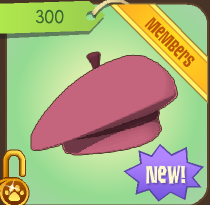 There is another new item in Jam Mart Clothing, you can now buy Berets! 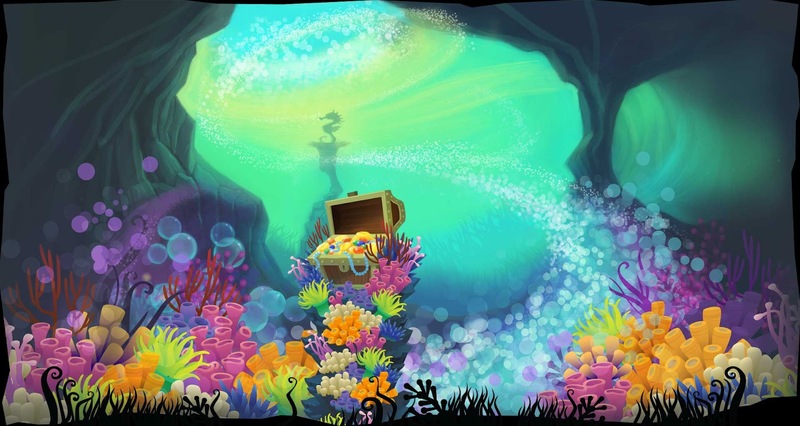 On that wallpaper, the seal cave is opened! But when you go to Mt. Shiveer, that cave is covered by rocks! Maybe it will open soon? 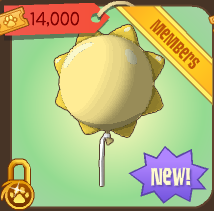 There is a new Sun Balloon at the Carnival! I am guessing there will be a star balloon to go with it soon. 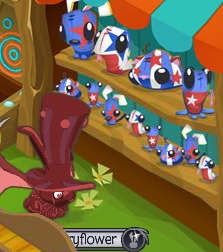 We already have Phantom Balloons, Heart Balloons, Clover Balloons, and Sun Balloons. And I don't know if I am the only one who has this problem, but when I try to play the underwater version of Best Dressed, they don't give me any clothes! Most of the other players don't seem to be wearing anything either, so they might have this same problem. 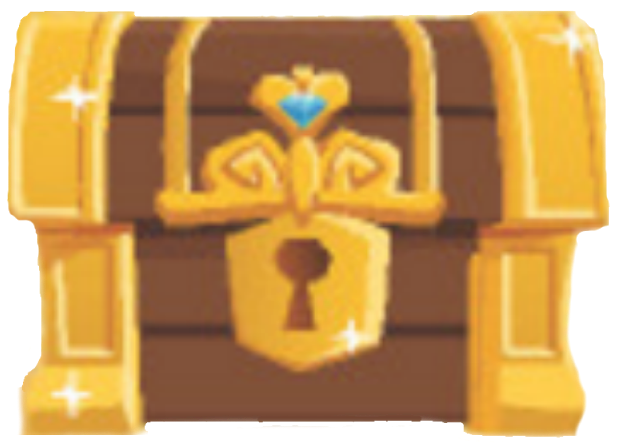 Here is the guide to finding everything in the Journey Book for Crystal Sands! 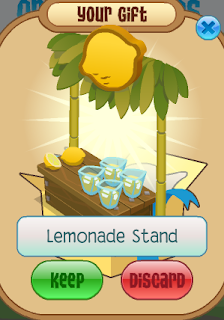 A Lemonade Stand for your den! 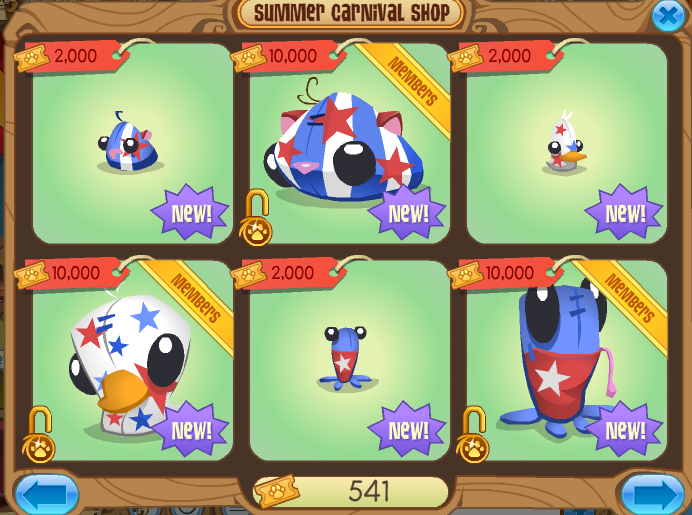 There are now Freedom Plushies at the Carnival! 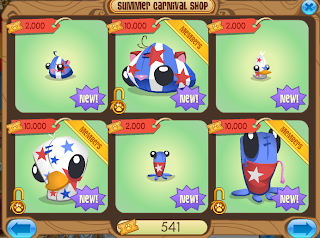 They can be found to the very right of the carnival. Interesting indeed. You can see Freedom Snakes on the shelves, too! 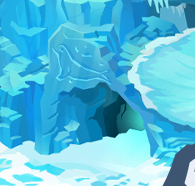 The Journey Guide and Penguin Party posts will be up soon!